Hello everyone, in this post we will go over the best 10 characters currently now available in FGO! Keep in mind new characters will be released in the future and we will include them in the list if they are worthy! 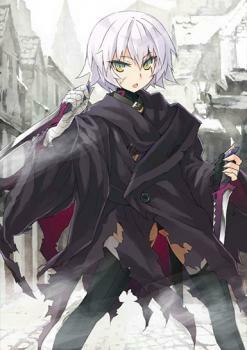 Until Merlin becomes available on the NA servers, this is pretty much everyone’s ideal Caster-class Servant to go to. 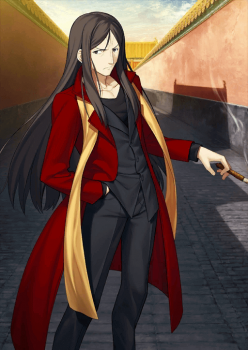 Now Waver is well-deserving of that 5-star status when it comes to buffing and debuffing. His skills can help boost his allies’ stats while simultaneously helping to build up NP points. And where his skills can buff his team, his Noble Phantasm can seriously debuff enemies by a large margin. If you ever see any friend having him up for support, go for it! It’ll benefit you in the long run for as long as possible. Now if I can just roll for him… Hopefully, when the Fate/Zero Accel Order event comes for North America, I get to roll for him at a higher rate. Gilgamesh is a strong independent servant with high damage output and generally good stats across the board. 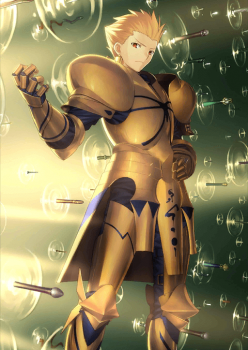 He has no distinct weakness and his NP modifier against Servants makes him immensely valuable for any event as Servants account for a lot of fights in the game. Thanks to his simple but powerful skill set, he can go with most common teams and perform well, but he shines the most in a team that can supply him with a lot of Crit Stars, Crit Damage buffs and NP generation. The main reasons he isn’t at Zhuge’s tier is due to him falling off a bit when not fighting Servants, and without dedicated stars generator either through his own or through another unit, his damage output becomes unstable. He also does not fit well into Stall teams or Art offensive teams. Sakata Kintoki is a very straightforward yet effective servant. His main playstyle can be summarized as smash and smash harder. Having a very high attack and being a Berserker with an extremely strong NP charge skill in Animal Dialogue with a Buster Single Target Noble Phantasm and 50% attack steroid for 1 turn makes him one of the best fast nukers in the game. He also goes well with practically every team and is a good staple member for every event for both farming or bossing, and is particularly dangerous when paired with strong supports like Zhuge Liang. 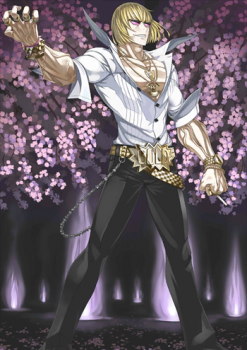 Kintoki’s main weakness is his paper-thin defense and nearly non-existent survival options in his skillset. Despite being a 5 star, he is so fragile that he can go from 100 to 0 within a turn with one crit from a mob. 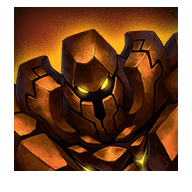 This makes him particularly vulnerable to tankier bosses who can survive his initial rotation and punish him afterward or enemies that like to crit a lot. He is also quite selfish as he offers nothing else to the team other than pure damage as his star generation and star absorption are both extremely underwhelming. Nonetheless, Kintoki is a great servant to have and will continue to serve any player very well in the future when bosses get tankier and tankier due to how effective he is at frontal burst. If you need a classic definition of a glass cannon, then GOLDEN is your man. 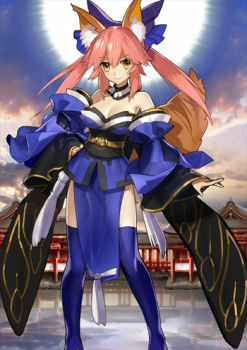 Tamamo no Mae is a servant with a very specific and well-designed role – an Art team support who facilitates and elevates any Art team to a great level. Her combination of target Art buffs for 3 turns, teamwide heal and cooldown reduction, 3 Art cards with an Art NP and boss gauge control make her unparalleled at this role and is generally one of the first go-to servant when constructing an Art team. She is well suited for lengthy battles and extremely potent for stalling team in high difficulty challenge, meaning she stays relevant for a very long time and remains a top-tier choice for any hard event even in far future. All in all, Tamamo is an excellent addition to any players’ squad. While she is a more specialized support compared to Zhuge Liang, her utility and excellence in the right team setup cannot be downplayed. Let’s go over Francis Drake’s versatility as a Rider-class Servant. First off, she’s already efficient at dropping Critical stars at a high rate. Second of all, her AOE Noble Phantasm is especially effective at dealing heavy damage and simultaneously gaining Critical stars as well. To top it all off, her skills are all-around diverse and can always be useful to herself as a Servant and to your party as well. 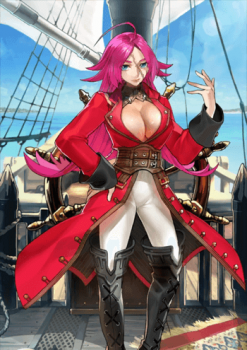 Ranging from increasing NP damage and attack for 1 turn to charging her NP gauge, making your attacks IGNORE INVINCIBILITY for 3 turns, and gaining 10 Critical stars all in one go, Francis Drake is perhaps the best Rider-class Servant in the NA server right now. Okita is a Quick-oriented NP-spamming star-spewing machine, exemplifying all the strong points of the card type’s advantages. With her superb base NP gain, simple but self-fulfilling skill set and straightforward NP, Okita’s game plan is to pull off the strongest NP Brave chain she can manage, shower herself in stars, then do it again…and again…and again. 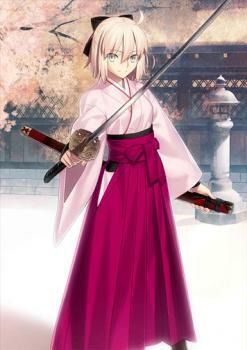 While Okita is excellent enough at what she does to plant herself in any team, she truly excels when given proper critical damage support and defensive aid. Unlike most Quick-based servants she doesn’t really require strong Quick card support, as her amazing hitcounts and NP gain already provide her everything she needs to get going and blow up her targets. A premium bosses killer, Scathach is often one of the first names to be considered when taking on tough challenge quests thanks to her amazing burst on her Noble Phantasm, guaranteed stun, an on-demand dodge and great coverage with God Slayer. Given proper support, she can also be a strong critical damage dealer. 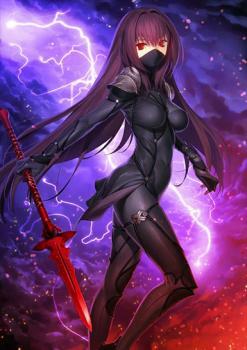 Thanks to her overloaded kits and early access to a Noble Phantasm Interlude, Scathach is an amazing addition to any player’s roster, and remain relevant for a long time even after more Servants are added. While somewhat similar, Scathach is tougher to utilize properly than servants like Okita mainly because of how she generates NP and stars. Spotting a seemingly worse NP generation and star generation, two 2-hits Quick cards, and only one 3-hits Art card, most would assume she would have trouble filling her NP bar. However, two 6 hits Buster and a 7 hits Extra card make her deceptively good at generating NP and critical stars. Furthermore, due to her 1st skill, more often than not Scathach will absorb critical stars to further improve her NP Generation with crit Art card. Due to her hits count, outside of relying on teammates or Craft Essences’ support, Scathach can effectively fill her NP bar by either doing an ABB Brave chain or putting her Art cards with some critical stars at the end of any non-Brave chain (preferably with another teammate Art card in the 1st slot) and hope that she does critical damage. Similarly, Scathach can generate a good amount of critical stars by doing a QBB Brave chain. Consequently, because of her unique circumstance, Scathach’s effectiveness in both NP gen or star gen will drop significantly if she cannot get the desired Brave chain or critical stars support. This combined with the unreliable rate to trigger her star absorption and crit damage buffs are her main downsides. Has anyone become a mother yet? Kudos to those who still had enough Saint Quartz (or went into Whale Mode) to summon Jack the Ripper after the salt that was the Thanksgiving campaign featuring Scathach. Alright, time for analysis. she’s exceptionally the best Assassin-class Servant in the game. At the very least, she’s an expert at gaining tons of Critical stars and dealing MASSIVE critical damage against enemies. And that’s not all. Her Noble Phantasm pretty much ignores the target’s defense buffs and increases damage against female enemies. Trust me, there’s going to be a LOT of female bosses in the later parts of the game. If you manage to roll Jack when London is released, expect fighting Medb in E Pluribum Unus to be a cinch. As for her skill set, it’s fairly decent as her first skill gives her Evade for 1 turn while simultaneously increasing Quick card effectiveness, her second skill removes enemy buffs and decreases Critical Strength for one enemy and her third skill restores an ally’s HP by a small amount in return for a relatively fast cool-down. If you can’t get her during the Christmas campaign in the NA server right now, better have your hopes up that you get her in the next guaranteed SSR paid Saint Quartz Summon for New Year’s. So as usual, let’s go over everyone’s favorite king doggo. Now it goes without saying Cu Alter is essentially Cu Lancer turned Berserker. Where Cu Lancer excels at endurance is where Cu Alter also excels at that as well. One distinct difference Cu Alter has in terms of his skills up his sleeve is his first skill that decreases all enemies’ attack and critical attack chances for 3 turns, whereas Cu Lancer has his third skill that removes debuffs and restores HP for himself. The rest of the two skills are fairly similar between them with a few minor differences between them. Both of them have an Evade skill, but Cu Alter’s lasts for only two hits while Cu Lancer’s lasts for three whole hits. As for their Guts skill, it functions exactly the same for both of them as a one-time revival status that lasts for five turns. Regardless of their rarities, both Cu Chulainn incarnations are very durable. 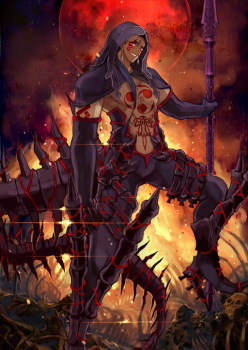 But in Cu Alter’s case, he’s exceptionally adept at dealing massive damage, especially with his Noble Phantasm Curruid Coinchenn that activates attack and defense buffs first for 1 turn before turning the entire screen into a glorious gorefest. Man, I’m so tempted to roll for him even though I want Jeanne Alter the most! 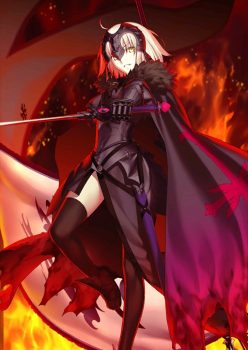 The corrupted Holy Maiden, Jeanne d’Arc Alter, arrives as a manifestation of Gilles de Rais’ vengeful hatred towards the people of France for the burning of Jeanne at the stake. In contrast to her saintly counterpart, Jeanne Alter is heavily focused on damage. Jeanne Alter is arguably the best Buster-type single target damage Servant to date. Boasting high damage output, fast NP gain, and usage flexibility due to her Avenger class typing, she is a powerful asset to any team. Her first skill allows her to synergize with crit-based teams, while her other skills provide a boost to her damage. Of note is that her second skill gives an extra ATK bonus to allies with the [Dragon] trait, which includes all Altria Servants (including Mordred), all Elisabeth Bathory Servants (except Carmilla), Siegfried, and Kiyohime. In the future, the MoonCancer class is her weakness, although to this date there is only one Servant of MoonCancer class (BB), and she is relevant only during the CCC collaboration event. Jeanne Alter remains one of the strongest single target servants for the foreseeable future. Gamepress.gg(Credits!) 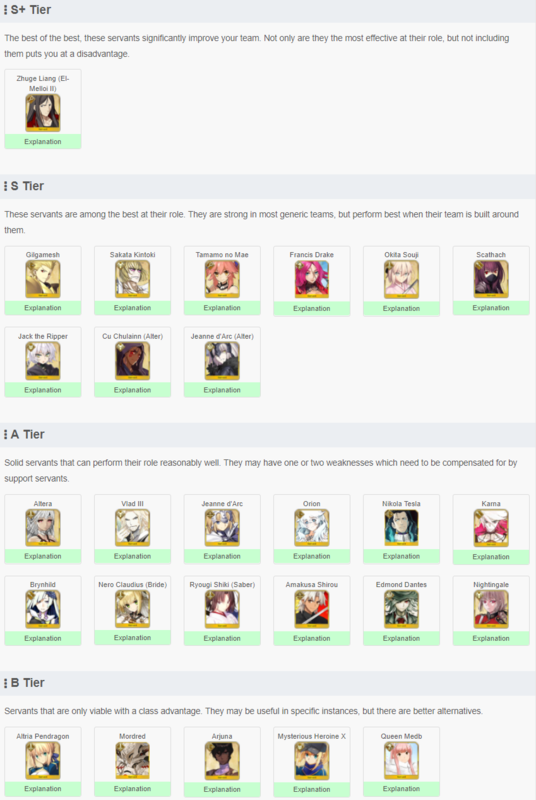 has a comprehensive tier list which has a great overview of all the 5 star characters. They also have 4 star and 3 star tier lists but I think most are interested in the 5 star list. Also special thanks to toptens as well!